By contrast, the War on Drugs are no strangers to the late-night scene. They hit Fallon themselves back in January and last night came to Letterman to rollick through the surprisingly pop-leaning “Come to the City,” off their 2011 LP Slave Ambient, like they’ve done it a million times already (albeit with some minor pitch issues on the vocals). It’s performances like this one that make it easy to see how Adam Granduciel and crew take off on a larger scale. Ben Kweller is even more comfortable on TV stages, and he came to Conan last night armed with his latest Go Fly a Kite single, “Mean to Me.” Kweller was his usual floppy-rock self, spazzy, spinning guitar solos and all. Artists like him almost sound better on late-night stages than on record, so this one was pretty much a shoe-in (as demonstrated by the goofy Conan-Ben hug at the end). 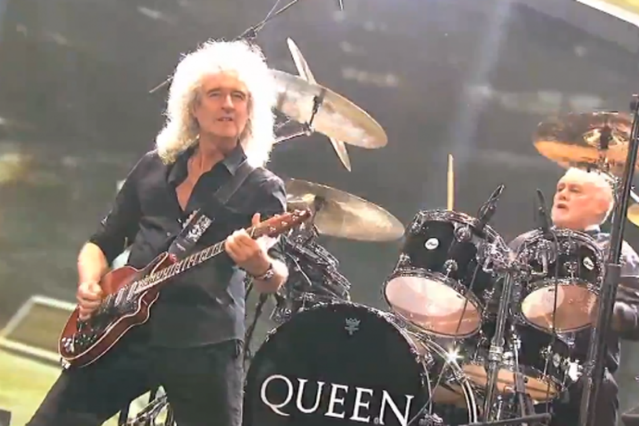 And finally, though it was a little earlier in the evening, one of the ultimate live-television duos, the remnants of Queen — Roger Taylor and Brian May — helped the final six contestants out on American Idol with an expansive Queen medley. May of course got his solo in (as he always does), but generally, the songs have become so natural, not to mention convoluted by a thousand (or six) singers, that it’s almost impossible to evaluate the actual performance.